Eeyeore. . HD Wallpaper and background images in the Disney club tagged: disney. 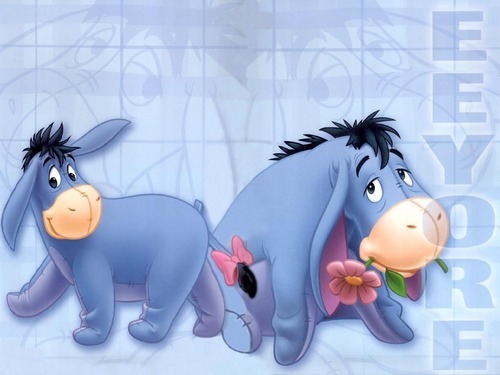 Sad and happy Eeyore all in one! Cute! The Left one had just eaten our cookies Karen ! And this picture shows the magic power of our cookies : BEFORE/AFTER ! Yes, it proves our cookies really do work! Eeyeore is our Sponsor now !